You may have noticed I haven’t written anything here for quite a while. There’s a good reason for that. I’ve been doing a LOT of writing – about something else. For the past two years I’ve been working on a book about the experience of growing up internationally in the 21st century. I have interviewed over 200 people about their experiences (mostly people 25 and under, who grew up influenced by the rise of the internet). They come from a huge range of backgrounds, from more than 30 different passport countries and have collectively lived in more than 60 countries. It’s been rather a big undertaking. Yesterday was a big day – I send the first draft of the book to my publisher/editor. There’s still a lot of work to do, not just editing, but also continuing to collect stories to include in the text. Still, it’s a huge milestone – and a big step closer to having my book published and widely available. 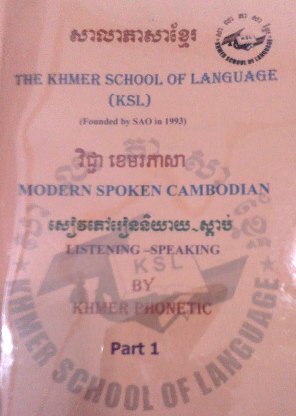 It was also a big day because I had my first Khmer (Cambodian) language lesson! For the next 5 weeks I’ll have 8 hours a week of one-on-one language tutoring. I enjoyed my first lesson – left with my brain full but enjoying the exercise. We’ll see how I’m doing after a week of this! It will be the fastest pace of language acquisition I’ve faced before. Technically it was faster during my China study year, but almost all the vocab was really revision for me so it wasn’t the same. Finally, it was a big day because it marked one month since I arrived in Phnom Penh. It’s both easy and hard to believe it’s been so long. I feel very settled in my new place – I love my apartment, my flatmate, and the little community of our street. I have some favourite places to eat and favourite things to cook at home. I’m so thankful for the sweet and caring people at the church I attend, who have made me feel very welcomed and at home. I’m volunteering with the youth and worship ministries and am enjoying it. All in all, it’s been a good month. I’m thankful for the space Phnom Penh provides me to transition well back to Australia. October 2, 2014 in Cambodia Stories, Expat Life, Third Culture Kids.